History: According to historical reports the herb was brought by Alexander the Great to the western areas around 4 BC. Romans used it for spicing their meals, its sharp aromatic properties contributed to its usage in Indian meals. Used For: Asafoetida is highly effective in treating excessive gas accumulation in bowels. Additionally the herb is applied for curing hysteria and bronchitis. Conventionally, the plant is also applied in the following cases. Stomachaches are successfully cured with the help of asafoetida according to several reports. Asafoetida is applied for insect bite prevention. Due to its special aroma asafoetida is applied to scare the insects (like mosquitoes) away. The effect is even stronger if the plant is combined with garlic. In Kazakstan the medicine is widely applied in form of extract decoctions. The plant is used to cure severe headaches. Its effectiveness is evidenced by John Heinenman in his works. One eighth a teaspoon of asafoetida extract is mixed in half a cup of boiling water and kept on low heat for 15 minutes. The result has been successfully applied for stubborn headaches. In Afghanistan the herb was applied externally, as a repellant for poisonous snakes, and spread over the shoes in small quantities. 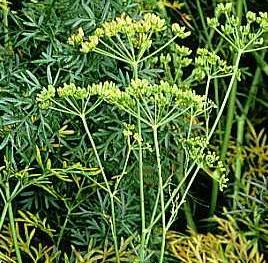 Additional Info: Asafoetida is a herb of resinuous origin which belongs to fennel family. The smell it produces accounts for its strange calling, devil’s dung. Ferula asafoetida is a plant with a long lifespan, which can reach a height of 12 feet and is found in vast natural woods. The herb is native to the northern parts of India, Afghanistan, and Iran. Ferula narthax belongs to a subfamily and is also pointed out by its strong odor. The resin of milk-like origin is excreted from the root and the stems, and dries off to the potent remedy. Preparation and Intake: For a tincture the plant is taken in a quantity of 2 ounces (root powder is the raw material) and mixed with alcohol in a quantity of 6 ounces. The mixture is infused for two weeks, shaken every day. Then the mixture is filtered and put into a volume to store it carefully. A common dose is 15 drops of tincture for 6 ounces of liquid in case of strong stomachaches and digestive system diseases.